One of America’s most iconic cities, Chicago, is a place with a rich history and a vibrant present. Famous for stockyards, gangsters and blues music, this hub of the Midwest was where the world’s first skyscrapers were built. Modern-day visitors can also enjoy the beaches on the shores of Lake Michigan, as well as a very warm welcome. All you need is some single trip travel insurance and a positive attitude. 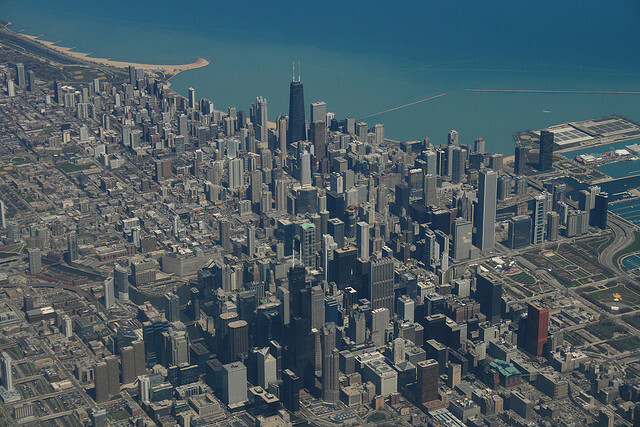 Chicago is an exciting city for anyone who is interested in culture and the arts, especially American culture. The city occupies a unique place in American popular culture, being considered the home of electric blues, a genre which influenced an entire generation of British rockers, who then re-exported the music back to the US during the ‘British Invasion’. African-Americans were drawn to Chicago in the 19th century, due to its more tolerant attitudes to race relations than many other places. This has left a rich legacy of music, which visitors can explore at Willie Dixon’s Blues Heaven Foundation, the former location of Chess Records. As well as music, Chicago is also known for having a tradition of comedy performance. The likes of John Belushi, Gilda Radner and Mike Myers cut their comic teeth in the city, performing with a troupe known as The Second City. Visitors can see the current members of the troupe, occasionally augmented by previous alumni, perform for free every night except Friday. The club is located at 1616 North Wells Street. Chicago possesses some of America’s iconic sports teams. The Chicago Bears NFL side play at the famous Soldier Field, while the Chicago Bulls basketball outfit are one of the NBA’s best known clubs. They play at the United Center on the Near West Side. The Chicago Cubs are a baseball team with a long history, and visitors can take in one of their games at Wrigley Field. They enjoy a rivalry with the Chicago White Sox, whose home ground is located at Cellular Park, in Bridgeport. The two three-game series held between the teams each year is one of the hottest sporting tickets in the USA. There are no admission fees on any of the city’s beaches, bordering Lake Michigan. As well as the beaches, visitors can also enjoy the wonderful views from Hyde Park’s Promontory Point. A lakeside walk is a great way to bring down the curtain on an exciting day in Chicago. If you’re from abroad, make sure to look into securing an ESTA visa before entering the states though. Save yourself some headache and apply before showing up at the airport.